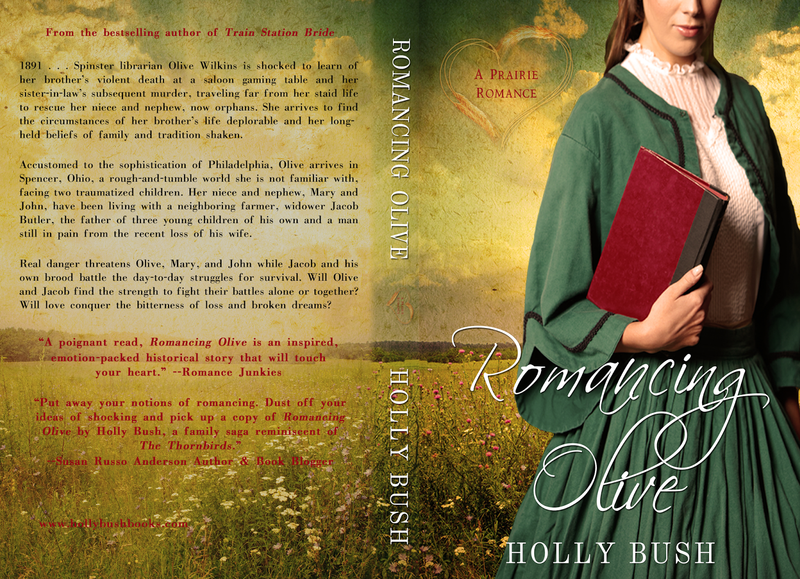 Romancing Olive by Holly Bush has a brand new cover designed by yours truly! Holly has been very successful with her Prairie Romance series with sepia-toned covers, but she felt it was time to offer them in print and bring them to life in full color. 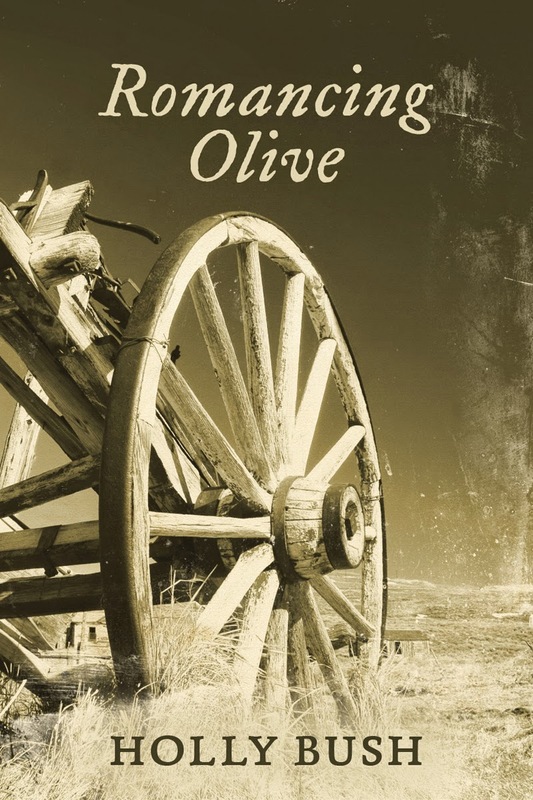 I read Romancing Olive before Holly and I started working together, and it's on my list of best indie romances. Check it out! 1891 . . . Spinster librarian, Olive Wilkins, is shocked to learn of her brother’s violent death at a saloon gaming table and her sister-in-law’s subsequent murder, traveling far from her staid life to rescue her niece and nephew, now orphans. She arrives to find the circumstances of her brother’s life deplorable and her long held beliefs of family and tradition, shaken. Romancing Olive is available in ebook and paperback on Amazon, Barnes & Noble, and Smashwords! Check out Holly's website for the scoop on all of her books, and stay tuned--we're working on a brand new cover for Train Station Bride next!